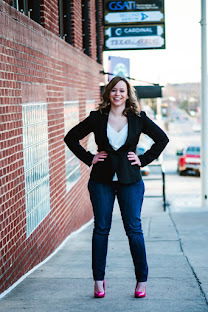 Vans Natural Foods is a staple in my home, my entire family loves their products & I'm so excited that they are back on the blog! If your not familiar with Vans, it all started back at the original Vans restaurant in the 1970's, they started serving waffles on the beach side & now create healthy, mouth-watering foods that you can find in your local grocery stores! You will find a wide selection of foods at Vans, not only do they offer a great gluten-free selection, they offer whole grain foods, organic options & more! You won't find any artificial ingredients, hydrogenated or GMO Oils, corn or high fructose corn syrup in Vans Natural Foods! So go ahead, snack happily & guilt-free, I'm so happy that my children enjoy eating Vans foods, I love providing healthy options for them at an affordable price! Vans so kindly sent me a handful of their new gluten-free products! By far my son's favorite is the new gluten free Snack Bars which come in Blueberry & Peanut Butter as well as Strawberry & Peanut Butter! These handy little bars make great on the go snacks & are packed with 10g of nutrient rich whole grains, they are the perfect size for little hands! The new gluten free Chips are delicious as they look & are packed with flavor & crunch! They are available in Nacho, Nacho Man & Mighty Good BBQ! These baked multigrain chips contain 18g of nutrient rich whole grains, grab these babies for your next party & of course they are great for dipping too! What are some of your favorite Van's foods? Don't the new snacks look delicious!? Buy it: I found Van's Natural Foods at my local grocery store as well as my local health food stores! Win it: One lucky reader will win 5 coupons for free products, 3 for dry snacks & 2 for the frozen line! Use the giveaway tools form to enter, good luck! This giveaway is open the US only, ages 18 & up. Ends on 2/13/14 at 11:59 PM EST. Enter using the Giveaway Tools form below. Good Luck! Disclosure: IHeart-Motherhood is not responsible for prize fulfillment. 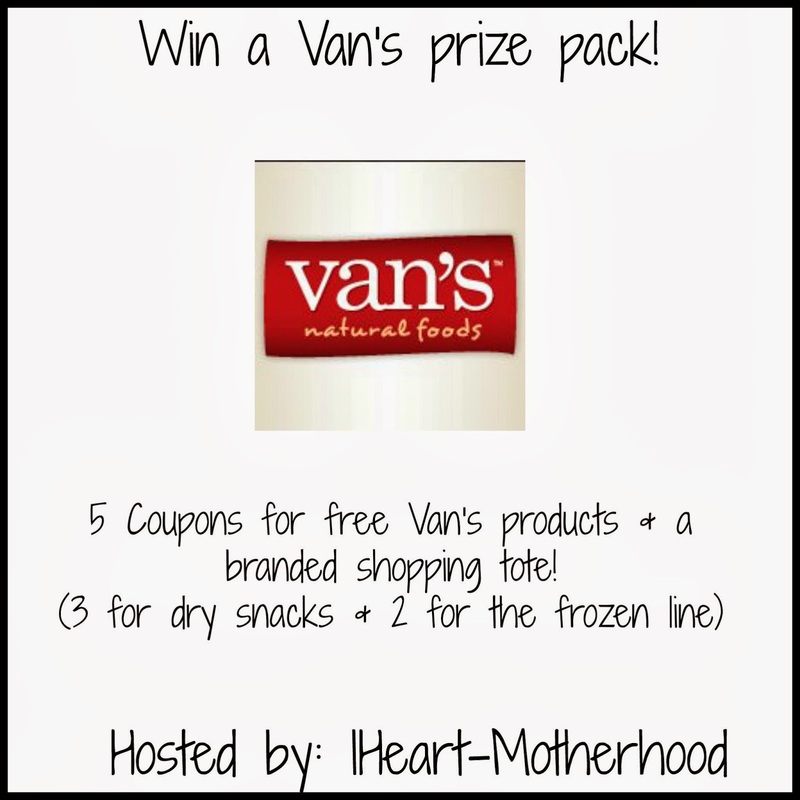 Vans Natural Foods is providing the product and not running the giveaway. I would love to try their Glutenfree Say Cheese Crackers! I visited the Van's site and would love to try the Gluten Free Snack Bars in Blueberry & Peanut Butter. YUM! I would love Van's chocolate chip snack =bars and say cheese crackers. A product I like is Delicious chewy cranberry and almond packed snack bars! the mighty good bbq chips look delicious! I want to try the Gluten Free French Toast Sticks! I'd love to try the Gluten Free Cinnamon Heaven Cereal. I would love to try the Fire Roasted Veggie Crackers - thank you! We like the waffles from Van's. Their blueberry waffles (with some peanut butter) are my favorite easy breakfast.